Beauty comes from within is one of our favorite quotes here at MyTopFace. Because it’s so true in many ways. Whatever your body consumes reflects on the outside. It’s important to keep your body healthy inside and out. There is a bunch of skin supplements on the market but UVO stands out. UVO helps aid and protect the skin from harmful UV Rays. While focusing on beautifying the skin. Ultraviolet Radiation (UV rays) is produced by the sun and causes sunburn, premature aging, eye damage and skin damage leading to cancer. On the plus side, UV rays are a great source of vitamin D. A dermatologist by the name of Bobby Awadalla was tired of seeing patient after patient come into his office with sun damaged skin. Which lead him to create UVO. UVO is a powdered drink supplement that protects, repairs, and beautifies your skin. Our beauty expert team has been drinking UVO for a 15 days now. We noticed that not only does it help with skin, but also gives an energy boost. Now that we have all the basic information let’s get into the ingredients. We at MyTopFace like to give our readers the all the information possible on the products we use. UVO has over 30+ vitamins, antioxidants, and phytonutrients. DR.Awadalla incorporated ingredients like Billberry fruit which helps with UV-induced inflammation, eye protection and decreases DNA damage. Niacin helps with skin immunity and grape seed extract to support the antioxidant defense. All of which were proven to aid and protect the skin. But that’s just the tip of the ice burg. 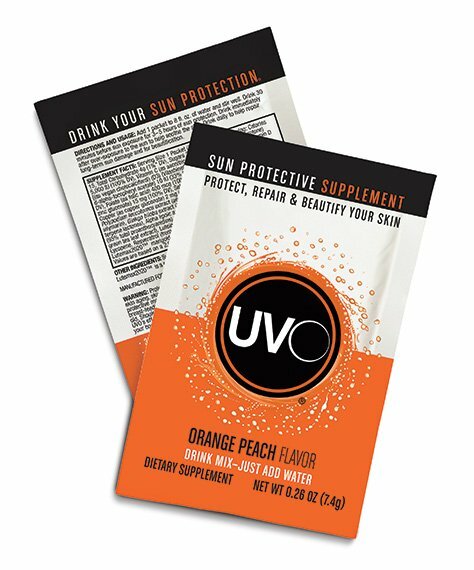 Even though UVO is being advertised as a sun protective supplement it does not contain any chemicals found in sunscreen. If you spend your life outdoors UVO is perfect for you. UVO supplements come with 30 packets in a box for $49.95. A pack of 15 for $29.95, 10 UVO packets for $19.95, and 5 packets for $9.95. Each packet is 0.26 ounces. Add one pack to 8 ounces of water. Best to drink 30 minutes before sun exposure. Keeps you protected for three to five hours. Now just to be clear don’t substitute this for sunscreen. It’s important to apply sunscreen before walking out the house. UVO isn’t just to drink before walking out the door. Even if you’re going to spend the day in bed. UVO is also made to help repair long-term skin damage. 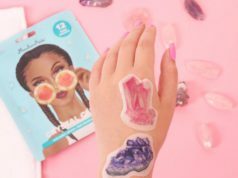 What our beauty experts love about this product is the flavor. A combination of Orange and peach gives the ease to drinking it. Other ingredients include sugar and stevia leaf extract to add a naturally sweet taste. You don’t have to worry about any preservatives or artificial flavors either because there are none. DR Awadalla made sure to make this amazing sun protective supplement vegan and gluten free. So that everyone can enjoy drinking a healthy, natural supplement. Because to be honest that’s what we all look for when it comes to taking vitamins. We want something that’s natural without any fillers or binders, and UVO absolutely provides. To make things even easier Drink UVO also offers a drink supplement premade. Each bottle is 12 ounces. You can either buy 2 bottles for 9.95 or 12 bottles for $47.95. To all our MyTopFace Readers out there please keep UVO Sun Protective Supplements in mind before doing any outdoor activities. UV Rays are super harmful, and you can’t ever avoid them. So give your body a boost when it comes to protecting yourself from the sun We all give DR.Awadalla thanks for this awesome supplement creation. 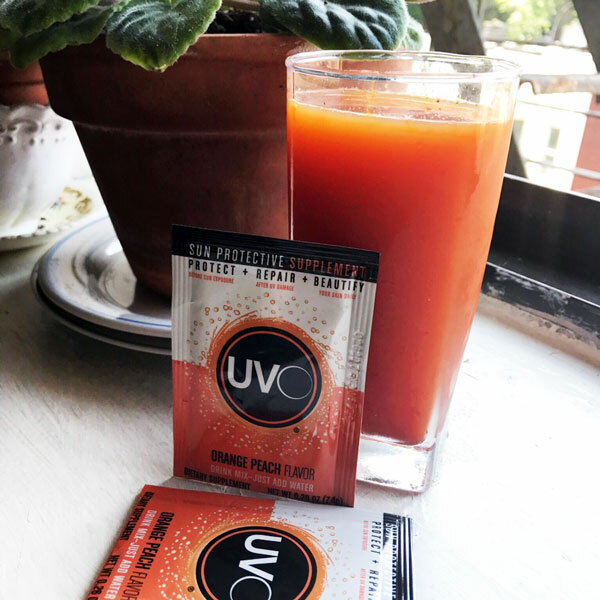 Our Beauty Expert team took notice that UVO Sun Protective Supplement gives a cool refreshing taste when chilled. But to dissolve the powder completely use room temperature or lukewarm water then chill the water in the fridge for a few minutes. Having great skin doesn’t only include supplements. It takes a village of healthy foods, fitness, cryotherapy, and skin care products to protect your skin and keeping healthy. It’s important to create a skin care regimen, specialized to your skin. 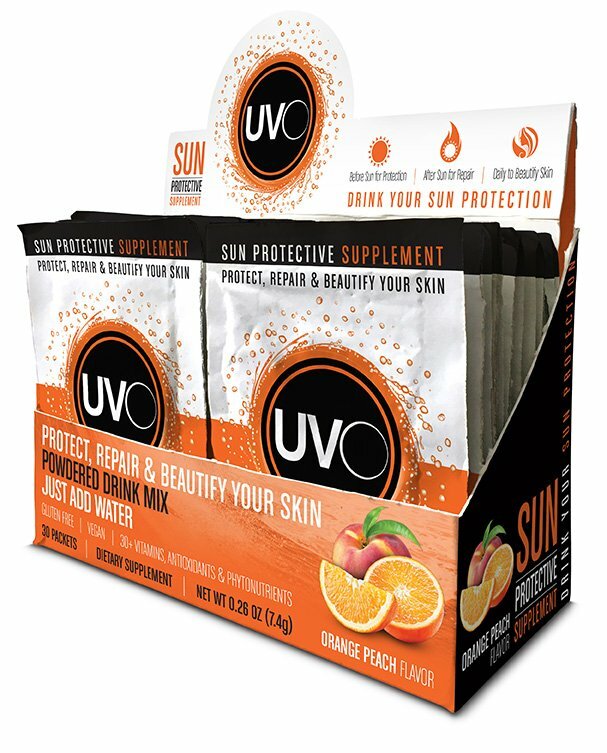 We At MyTopFace all agree that UVO Sun Protective Supplement should definetly be a part of it.